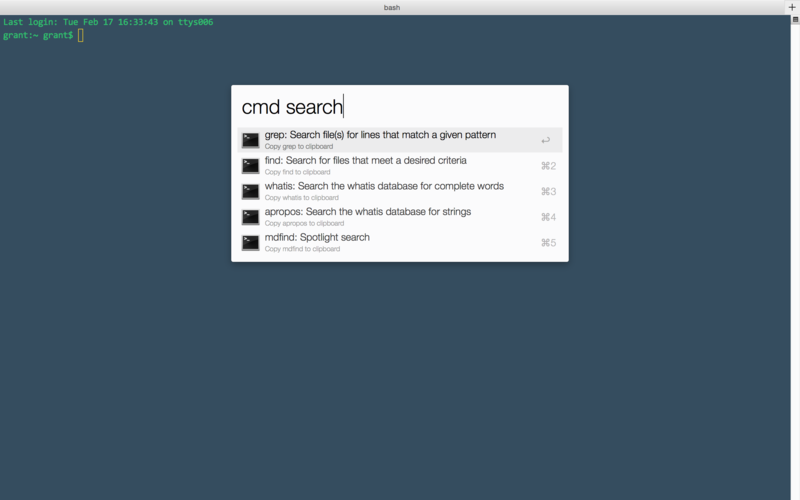 Use this workflow to search OS X Terminal commands by keyword and paste the command into Terminal. Type cmd [keyword] (or set your own shortcut) to search available terminal commands. Press ENTER to copy the command to the clipboard and paste it in the front-most app (e.g. Terminal). Clone this repo and double-click the alfred-terminal-commands.workflow file or download just the workflow file.